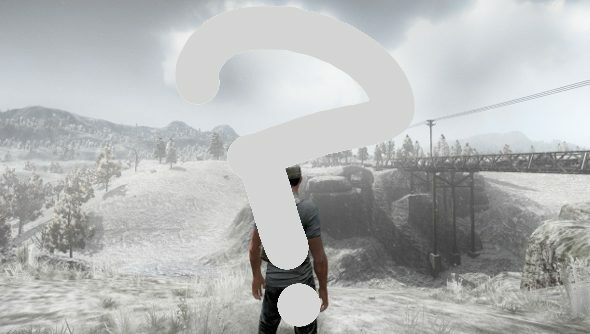 Topic of the Week: What works and doesn’t work in survival games? If civilization collapses, or I’m stuck in the wilderness or zombies take over, I’m sorted. These last few years have drowned us in survival games that teach us all we need to survive. Hungry? Kill and eat a person. Bleeding to death? Steal someone’s clothes and rip them up. A wee bit cold? Burn everything down. With so many survival game in alpha and beta, though, it feels like a genre that’s still being fleshed out, and right now it’s in its experimental phase. Survival games are basically teenagers. For our Topic of the Week, we want to know what you think they’re doing right, and what you reckon they are doing wrong. Think starving is rubbish? Crafting is great? Let us know. This is something I was talking to Tim about earlier. He’s not a fan of the implementation of time in most survival games. It goes by so quickly, that there’s rarely a moment where you aren’t hungry or thirsty in the survival games that employ hunger and thirst systems. You have a drink, and 15 minutes later half the day has gone by and you’re dehydrated again. This bugs the hell out of me, too. A lot of faffing around goes into maintaining the status quo. Progress grinds to a halt, because you’re simply trying not to die from the most mundane things. So the fun things, crafting, exploration and a proper adventure get pushed to the sides in favour of finding food. It’s a tricky balance that I reckon most games still struggle with. Enough from me, we want to devour your thoughts. Spill them in the comments.